Gepost door My Scrambled Style op 5:20 p.m.
Wauwii, die schoenen zij echt leuk ! I love pairing black with any pattern! This outfit is simple but chic! Really nice and chic, you look so pretty. Awesome ensemble!the skirt is a cutie, the shoes so chic. Thumbs up! vind je rokje zo leuk staan! Ah this look is so chic! I love your skirt and shoes! 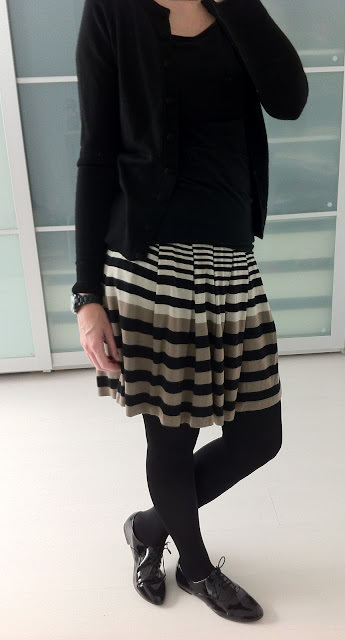 Love your stripe skirt! Amazing! Gorgeous outfit, and nice blog babe!